In the late 1980s, Nintendo's internal development teams set out to make two games that would forever define its classic Super Nintendo Entertainment System. One was Super Mario World. The other was The Legend of Zelda: A Link to the Past. Work on both games began almost simultaneously. "At Nintendo, we don't spend a long time or have a lot of employees working on the development of a single game", Zelda creator Shigeru Miyamoto said in a 1991 interview, lovingly translated by Glitterberri. "We start by having a few people developing a title, which lasts about a year. Then we add some more staff who spend about 8 months putting in the finishing touches. 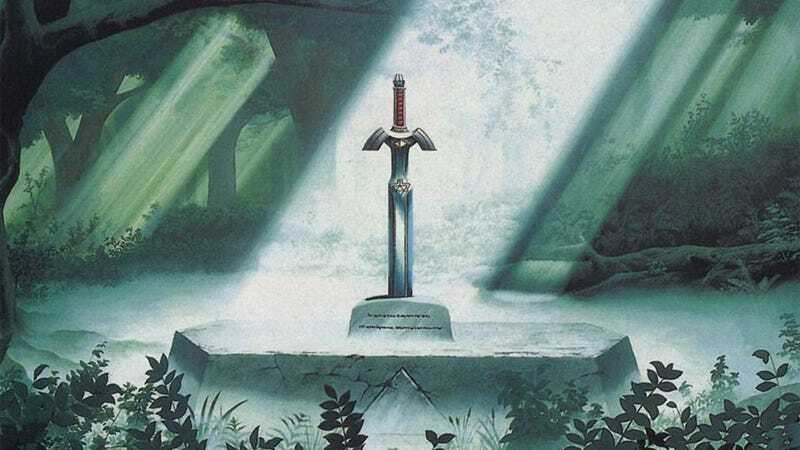 It was November, 1990 that more members were added to Zelda's development team." "Basically, we begin by doing a bunch of silly experiments with a small number of people, then, once the project begins to take shape, we put a larger amount of staff to work on it", he continues. "If you start out messing around with a large number of people, you'll end up with a bunch of employees with too much time on their hands. Specifically, we eke out what system the game is going to use by testing the hardware limits early on, then incorporate things like the enemies and the scenario afterwards." Moving from the NES to the SNES, and resuming the top-down adventure stlye of gameplay from the original Zelda (which by 1991 was already five years old), also presented a series of challenges for the team. "In addition, back when LoZ was being made, having a world based on swords and magic was still a fresh idea, as was the concept of being able to save your game", Miyamoto said. "A system that allowed you to buy items in-game was also new, not to mention solving dungeons." "However, in the 5 years since the game's release, a lot of titles have appeared on the market that do the same sort of thing, so the sense of innovation has disappeared entirely. I thought hard about what we could do next that would entertain the players. Just because it was no longer innovative didn't necessarily mean that we should have cut out the shopping and dungeons entirely." One area they decided to innovate was with the game's visuals, which thanks to the SNES' increased horsepower could look much better. They could also take advantage of the SNES controller, as more buttons meant more actions could be added to Link's repertoire. Another challenge Miyamoto and his team were presented with was one that still plagues the franchise today: the mix of people playing, and what they're expecting from the game. "For some people, Zelda is an adventure game in the guise of an RPG", Miyamoto says. "For others, it's an adventure game in the guise of an action game. The latter might not be able to get away from the preconception that they have to use the strongest weapon to fight the boss. For example, you can damage the Helmasaur King with bombs or the hammer. Originally, we had it so that the hammer didn't do anything, but because we went to the trouble of putting a hammer in the temple, we went back and reprogrammed it so it could be put to use as well." Interestingly, the game's cut content included something we wouldn't see properly implemented until the next century in titles like Far Cry 2 (and Four Swords Adventures! ): proper fire. "There were a variety of ideas that didn't make it into the game. Using the lantern on a grassy area to cause an endlessly expanding fire, for example". That feature wasn't cut for lack of ambition, either: Miyamoto reckons that with another six months development time they could have got it working in the game. You can read the full interview at Glitterberri's site, here.